Stand out with this stunning Cleopatra style collar necklace. 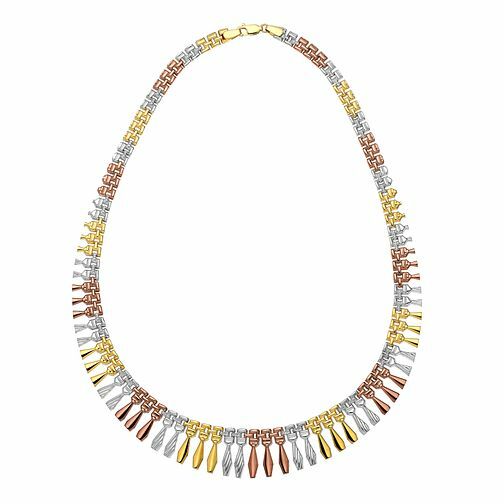 Crafted from three colours of 9ct gold; white, yellow and rose, for a contemporary look, this collar features a mix of smooth and textured links for a look that oozes sophisticated glamour. Measures 17" in length.